By Laura Hazard Owen @laurahazardowen March 19, 2019, 10 a.m.
Two weeks ago, when Spirited Media announced it was getting out of the local news publishing business, it looked to many like a bad omen for the small group of companies trying to build metro-level, mobile-first, millennial-seeking, but relatively low-cost news outlets. Serving new cities has double effects for us. Part of it is that we’re able to grow our overall base of users to be able to do more work with and get better data and understand how we can serve people better. Moving into more geographies and cities is important way to test that rather than just have a larger audience in one city, because it gives us better data. The other piece is that we’ve built a bunch of tools that have helped us get more efficient and effective at the work, that have helped us get to a place where we say, ‘Okay, we’re ready to move on to a new market now with the things we’ve built so far.’ Those things have helped us get to a place where it’s financially feasible to launch in a new market and make sure we get the right return while making something meaningful in those new markets and really being responsible to the opportunity and the users in the city. 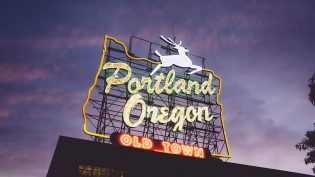 WhereBy.Us had originally planned to expand much more aggressively, with a goal of 5 cities by the end of 2017, 12 by the end of 2018, and 25 by the end of 2019. The incline will be the company’s first new site in a year (exactly). The main focus of each of WhereBy.Us’ properties is a weekday morning newsletter. The Incline has been sending out a newsletter seven days a week; with the move to WhereBy, it’ll get to take weekends off.  Exciting news for @theinclinepgh! They’ve got a new owner, @WhereByUs, and a new director, @rossilynne — and all the greatness @colin_deppen and @Ldrake5 bring to the ‘Burgh. Photo by clkohan used under a Creative Commons License. POSTED March 19, 2019, 10 a.m.
Owen, Laura Hazard. 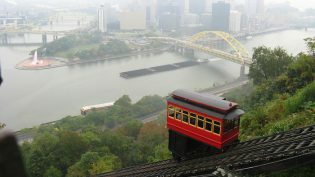 "Pittsburgh local news site The Incline finds a new home at WhereBy.Us." Nieman Journalism Lab. Nieman Foundation for Journalism at Harvard, 19 Mar. 2019. Web. 24 Apr. 2019. Owen, Laura Hazard. 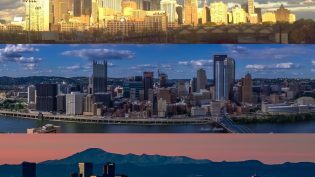 "Pittsburgh local news site The Incline finds a new home at WhereBy.Us." Nieman Journalism Lab. Last modified March 19, 2019. Accessed April 24, 2019. https://www.niemanlab.org/2019/03/pittsburgh-local-news-site-the-incline-finds-a-new-home-at-whereby-us/.